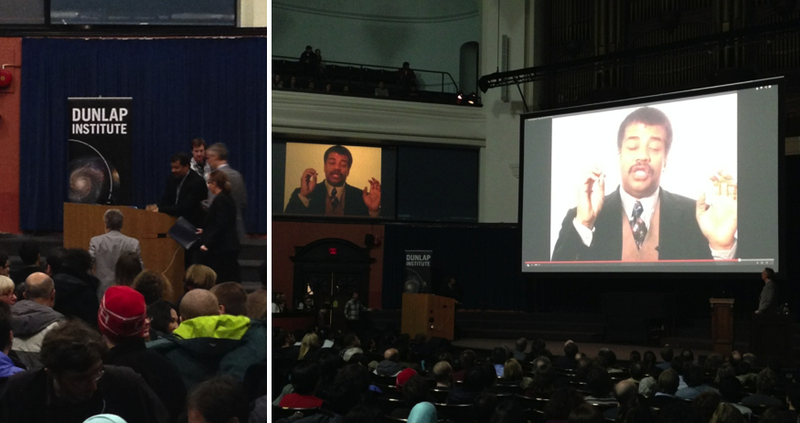 The lecture by Neil DeGrasse Tyson was awesome. He's a really funny man who also happens to be a physicist. It was great to see how comfortable he seems to be on the stage and interacting with the audience. It looked like he was having as much fun as we were. 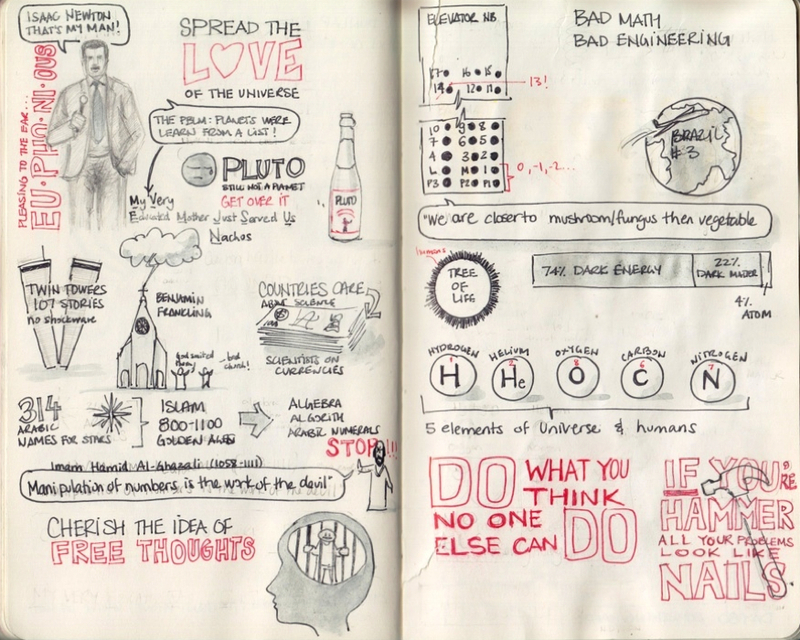 I learned quite a few interesting things during his lecture and took a few sketchnotes as shown above. 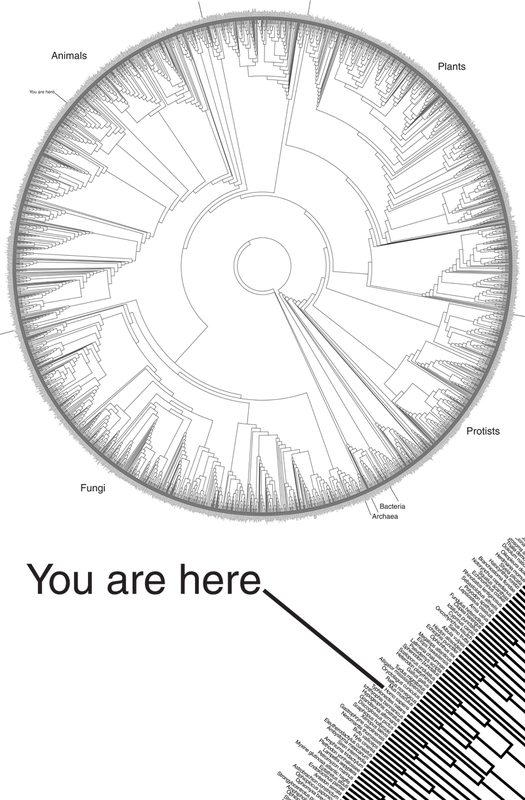 He had this really neat tree of life image showing where humans are amongst all living things. It was quite fascinating. He also spoke about his observations of the world in relations to science, how general views of science has shaped history and its importance in the world. There was also a Q&A session at the end that kept us there until 11PM. I get the impression that he would be a really fun person to hang out with and talk to.